Capt. 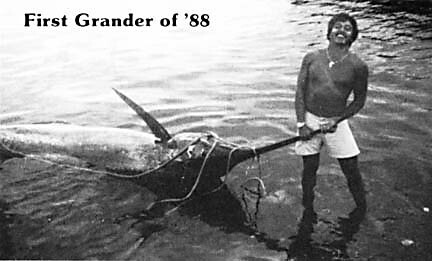 Floyd Bertleman raised this fish behind his boat, the JUDY B II. Chris Kam and Randy Marks tag-teamed on the angling duties and two hours later, they had the fish secured.